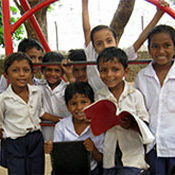 The Hans Foundation, created in 2009, is one of India's largest charitable endowments, and has funded hundreds of Indian not-for-profit organizations catering specifically to the needs of underprivileged people. 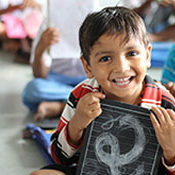 The Hans Foundation, created in 2009, is one of India’s largest charitable endowments, and has funded hundreds of Indian not-for-profit organizations catering specifically to the needs of underprivileged people. The foundation’s aim is to provide equal access to quality facilities for healthcare and education, and to enable all people to obtain a dignified livelihood, regardless of age, gender, caste, disability, or religion. From mobile health clinics and hospitals, to drinking water purification and enhanced agriculture, to midday school meals and computer training, to opening opportunities for those with mental and physical disabilities, The Hans Foundation has taken a comprehensive approach to both health and income generation. Its diversified portfolio of projects has ensured that the foundation reaches out to all marginalized communities in need of support. The Hans Foundation primarily finances grassroots organizations that operate directly in the communities that they serve. This ensures that the funds directly impact the people in need. The foundation also supports larger organizations that have a greater outreach and which can develop solutions that are replicable across the country. The Hans Foundation and The Hans Foundation Hospitals are not-for-profit affiliates of Billions in Change working to promote health, livelihoods, and well-being among the rural poor in India. Like Billions in Change, these organizations were founded by and continue to receive financial support from Manoj Bhargava. We ensure that 100% of every rupee donated will be used to fund Billions in Change initiatives, which will be implemented through our partnership with The Hans Foundation.